The last Upgraded Life Festival was arranged in May. One of the main goals of the event is to share knowledge of the newest health technology innovations. Finland has all the ingredients needed to become a leading country in health technology. New businesses are constantly emerging in the Helsinki-Uusimaa Region, whose innovations may globally revolutionise healthcare, while the ever-expanding networks provide support for growth. How does the idea of a 3D printed kidney sound? Perhaps like science fiction, but in the future, organs bioprinted with 3D technology may become commonplace in healthcare. 3D technology can also be used to produce skin, bone and less complex internal organs than kidneys. The Finnish Futurena research group has already made considerable progress in the development work of bioprinted kidneys. The 3D kidney is a breathtaking example of how healthcare in the future will be full of technology. “We will be taking massive leaps forward in technology. Artificial intelligence will hugely increase the number of products in the future”, says Tuula Palmén, who currently works as a co-creation manager at VTT Technical Research Centre of Finland. Palmén knows exactly how health technology is progressing in Finland. For the past three years, she was the head of the Health Capital Helsinki alliance, an initiative whose vision is to develop the Helsinki Metropolitan Area and Finland into the best place in Northern Europe for life science and health technology innovations, research and business development. The alliance is currently comprised of the City of Helsinki, Aalto University, the University of Helsinki and the Helsinki University Central Hospital (HUS). The first years of the alliance’s activity have been funded by the Helsinki-Uusimaa Regional Council, and it is focused on the Health and Wellness aspect of the area’s Smart Specialisation Strategy. At the moment, the next steps for the alliance are being planned as some new members may be joining the initiative. 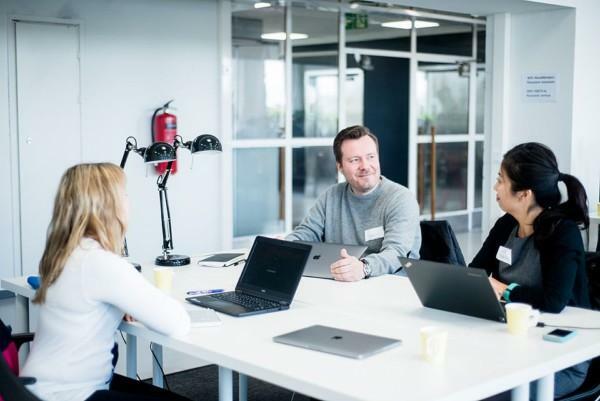 Health Capital Helsinki facilitates the commercialization of scientific research and increases the number of business ideas, startup companies and jobs. Christian Lardot and Kaisa Oksanen are working at the project office. “On the research and innovation side, health technology is one of Finland’s strongest sectors. Last year, the sector’s exports rose to 2.2 billion euros. We are doing very well, and the potential is there for even greater growth”, explains Christian Lardot, senior business advisor at NewCo Helsinki and Health Capital Helsinki. Health technology is a large sector, so there is plenty of room for growth. Innovations in the fields of the Internet of Things, AI and robotics are becoming more common in the sector, which is constantly growing globally. “For example, many Asian countries are becoming wealthier, and entirely new kinds of markets are opening up there”, Lardot says. Although there are many development directions in health technology, the sector demands a great deal from new businesses. Regulation is common in the medical environment, and approving technology for official use takes a lot of time. Developing new innovations also requires a lot of specialisation. Specialisation is one of the strong suits of the Helsinki-based business augmentor, Vertical. Vertical focuses on health technology, and in spring 2018 it launched the Growth Track training programme together with the Helsinki-Uusimaa Regional Council. The programme helps startups specialised in health technology to refine and expand their business. “It’s not the easiest sector from an entrepreneur’s perspective, but we are now clearly taking big steps forward. Finland has lots of great ideas and innovations that are being put into use. It’s a big change and it will happen quickly”, says Eero Toppinen, project manager of the Growth Track programme. Both Tuula Palmén and Christian Lardot from Health Capital Helsinki would like to see more specialised investors come to the sector. At the moment, there are only a handful of investors in the Nordic countries who focus on life sciences and health technology. It is important to raise capital in order for Finnish businesses to step onto the world stage. “The Nordic countries should pull in the same direction more, for in doing so we could create a larger market area. Finland alone is a very small market”, Lardot elaborates. Vertical’s Toppinen is also struggling with the same challenges. AI is one of the future trends in health technology as well. It can help in, for example, care needs assessment and early diagnosis. One example of Finnish AI innovation is Aiforia, which provides AI to support pathologists. The Helsinki-based company’s products help pathologists analyse tissue samples more precisely and effectively than before. Vertical has also become very familiar with AI. One of the first companies selected for the Growth Track programme was Etsimo, whose AI-based application helps people figure out when is the right time to see a doctor. “Etsimo can play a major role when Finnish social and healthcare services are reformed. At that stage, the help of AI in preliminary diagnosis can be invaluable. It’s great how we can take companies like Etsimo forward. Growth Track is currently a pilot programme, but we’ve managed to create valuable links between startups and big companies”, Toppinen says. Health technology is a constantly growing sector with lots of potential. In the future, healthcare will focus even more on prevention, and Finland is already a pioneer in preventive healthcare. “A good indication of Finland’s pioneership came up when we attended a major health technology conference in Spain with three Growth Track businesses in the spring. The conference showed that the focus in Europe continues to be on improving hospitals and treatment, whereas in Finland the conversation has already moved to preventing illness. Many Finnish startups have predictive dimensions in their operations”, Toppinen says. One of the companies developing preventive healthcare in Finland is the startup Fifth Corner Inc. The company has created an application that helps people manage stress and improve their wellbeing. 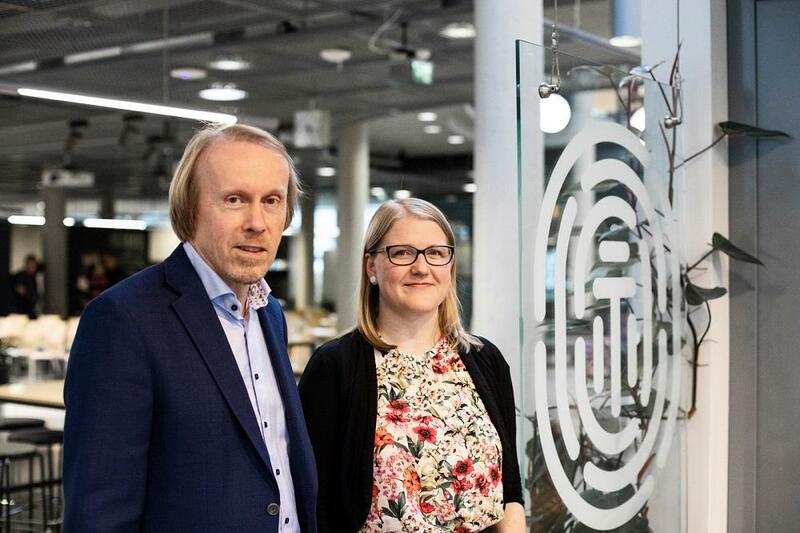 In addition, Fifth Corner Inc. is developing preventive healthcare at the system level with big companies such as Mehiläinen, which provides private health services. “With a big Finnish private healthcare company Mehiläinen, we focus on how prevention can be achieved in healthcare. With the help of the Finnish occupational healthcare system, we are able to develop preventive healthcare to a whole new level. So far, elsewhere in the world only insurance companies are interested in this field, but it will grow”, says Fifth Corner Inc’s CEO Nelli Såger. In a specialised field, networks are everything. The work done by Health Capital Helsinki and Vertical to increase cooperation is now bearing fruit, especially in the Helsinki Region. Health Capital Helsinki has, for example, created two physical innovation environments, organised numerous events and supported startups on their road to growth. A good example of networking in the field is the Upgraded Life festival in Helsinki, which was organised this year for the fifth time. “Activity has increased tremendously over the last few years. The most rewarding thing has been helping businesses grow and develop. The results have been promising and it’s a good place to move forward from”, says Tuula Palmén. There is also a lot of IT know-how and an active startup culture in the Helsinki Region, which can further contribute to the development of health technology. “If we can get a virtuous circle going in Helsinki-Uusimaa Region, it will spread from here to the entire country. There are good networks in the field in all of Finland”, Palmén sums up. 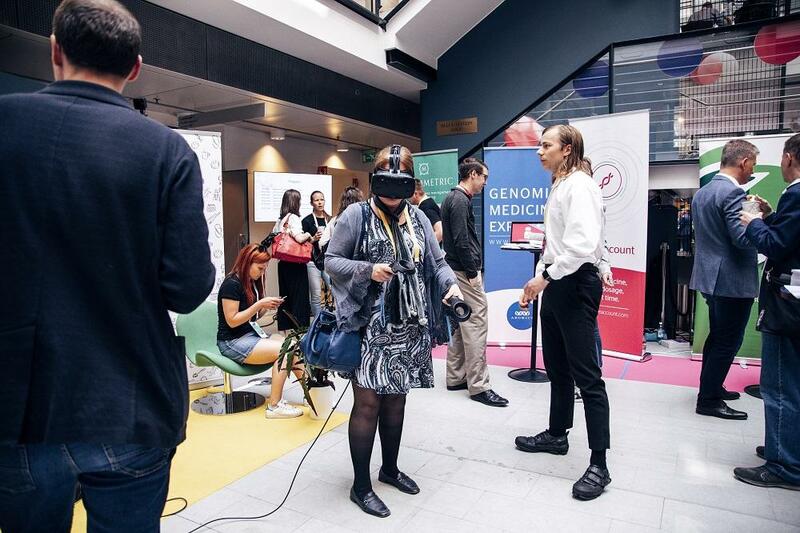 From the projects and companies mentioned in this article, Helsinki-Helsinki-Uusimaa Regional Council has funded Health Capital Helsinki and Vertical Growth Track. The projects implement the smart specialisation strategy of the region.